A drug dealer was found to have more than 200 names on his dealer’s list following a police raid. Hartlepool Police raided the home of Adam Wellings’ girlfriend and seized cocaine and other dealing paraphernalia, Teesside Crown Court heard. Police also found cash during the operation, the court heard. The court heard Wellings had a string of offences on his record, including for drugs offences. A drugs expert said Wellings was at least a street level dealer, but could have been more senior. “The house was in Pillowell Close in Hartlepool,” said Jenny Haigh, prosecuting. “Wellings was present, and officers asked him if he had any drugs in the property. “He directed them to a black rucksack in a cupboard. “This contained a quantity of white powder, later found to be cocaine, snap-it bags, and a dealer’s or tick list with about 200 names on it. The court heard a police drugs expert concluded Wellings was at least street dealing, and was possibly higher up the chain. 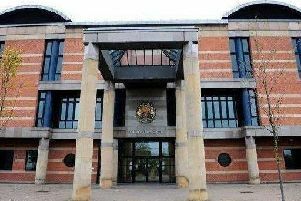 Wellings, 30, of Avondale Gardens, Hartlepool, admitted supplying a class A drug between January and May, last year. He has previous convictions for 29 offences, including possession of cannabis. Stephen Constantine, defending, said in mitigation: “As is so often the case, Mr Wellings turned to dealing to fund his own habit. “While there may be 200 names on his list, many are repeated which supports his assertion he was selling mostly to friends and acquaintances. “There is no evidence of high living, the police financial investigators found he has no money. Judge Howard Crowson jailed Wellings for three years. The judge told him: “This was dealing to a relatively large number of people over a significant period of time. “I accept there is no evidence of wealth accumulation, and you have debts. “Those debts may be informal, but I expect you will have to deal with them upon your release. The judge ordered the £475 cash found in the house to be confiscated. He also ordered for the the 12g of cocaine seized from Wellings to be confiscated and destroyed.